What do you call your city gospel movement? A few weeks ago I was at a Christian conference where best-selling author and prolific thought-leader, Seth Godin, gave the opening keynote address to 1,100 eager participants. Seth spoke powerfully. He was at his very best challenging us to “give people a story worth telling” and about four of the most powerful words in the English language—“Here, I made this.” He challenged us to be fully present with people and and asked us to “be bold.” “If failure is not an option, then neither is success. The man who invented the ship also invented the shipwreck.” Not unexpectedly he was rewarded with a standing ovation. Reading Seth’s daily blog for the past 18 months I thought he was awesome—even more than I had hoped for. As Seth left the stage, the M.C. came forward and asked for any feedback from the audience. 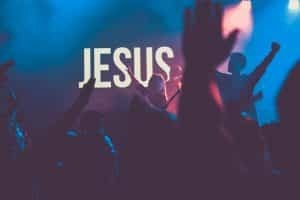 A man in the back of the ballroom raised his hand and when called upon said, “I’m very concerned that I didn’t hear the name ‘Jesus’ mentioned in his presentation.” The air was sucked out of the room as the M.C. tried to recover by quickly calling on someone else. Awkward. To the best of my knowledge Seth is Jewish. And the funny thing was I felt Jesus was all over that talk. This past week I was in another state helping a good friend launch his city gospel movement. He shared his newly-crafted mission statement with me. It was beautiful…about giving and receiving love… and work, and flourishing of the whole city. But he also told me one board member pushed back because the mission didn’t have the word “Jesus” in it. My friend wants to work with people of good will as well as people of good faith. He’s started this transformation with pastors but believes all sectors need to be involved for the city to flourish. Does your city gospel movement need to have the name “Jesus” (or God, or kingdom, or gospel) in it to be a transformational city gospel movement? Now we come to naming our city gospel movement. It’s easy to put the name “Jesus” or “Gospel” or “Kingdom” or “God” into a name. Without any effort we’ve given a sigh of relief to sponsoring churches and fellow-believers. But is this the best thing to do in view of long-term effectiveness? 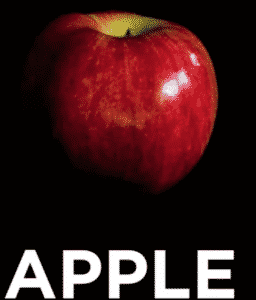 Do we have to write “apple” when the apple is in plain sight? Could the bigger challenge really be creating a city gospel movement that had so much of Jesus’ presence all over it that one wouldn’t need to have “Jesus” in the name? Amongst ourselves we might call ourselves a city gospel movement but what is our “public” name that might be more inclusive? The book of Esther has been criticized because the name “God” is not mentioned in any of its nine chapters. Yet God is all over that book in such a powerful way. Perhaps, through this omission, God is giving all of his followers permission or challenge to create something so beautiful…something so filled with God and his plan and his values and his love that the picture is so clear and compelling that it needs nothing else to be understood. You who lead city gospel movements understand that you are leading a movement of God—but it’s a movement that is aspirationally so big it will take the best and brightest contributions not only from the church but from every sector (public, private and social) of your city. So what is your “public” name? Do you write “APPLE,” show a picture of and apple or do both? Eric Swanson is passionate about city transformation. He is the co-founder of GoodCities and co-author of To Transform a City: Whole Church, Whole Gospel, Whole City and resides in Longmont Colorado. Learn more about Eric at www.ericjswanson.com. Check out this article I found at City Gospel Movement's website https://citygospelmovements.org/resource/what-to-call-a-city-gospel-movement/. Does your city gospel movement need to have the name “Jesus” in it to be a transformational city gospel movement?